But something changed in the early 1990s. A new brand of tequila started appearing on liquor-store shelves. Patrón came in a handblown perfume bottle with a glass stopper. It carried a premium price tag. And, like fine Scotch, it was meant to be drunk straight. 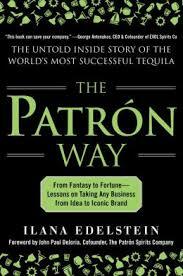 At first, Patrón sold about 10,000 cases a year. But by 2011 sales had skyrocketed to two million cases and $1.1 billion annually. Tequila, which is distilled from the blue agave plant and has been made in Mexico for more than half a millennium, was suddenly a sophisticated beverage.